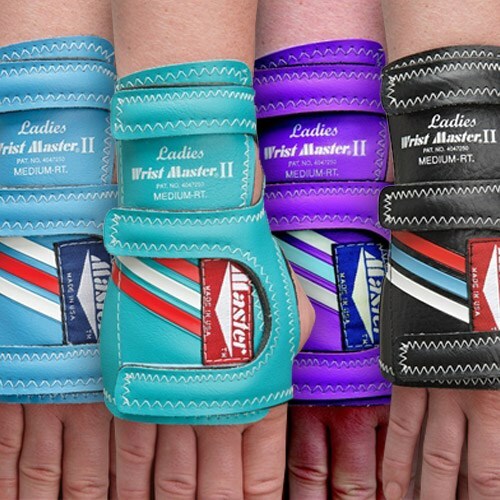 This original Wristmaster II is the world's #1 selling wrist support. 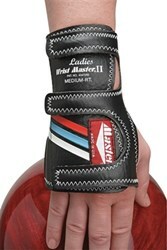 Many pros use it on the PBA tour and it comes in three colors: Berry, Green, Black or Light Blue. The color is randomly selected. This support has a form-fitted design that shapes to the wrist, palm, and forearm. If you want a proper "in line" wrist position, this support is for you! Right-Hand only. no complaints. would buy again. This product is useful for added wrist support. Hello Jackie! You can put your color request in the customer comments at the end of the checkout process. 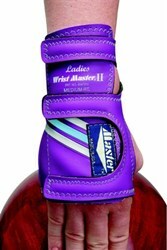 Beginner bowler here, but have weak wrist how to determine what size to get. Hey Shorty67! 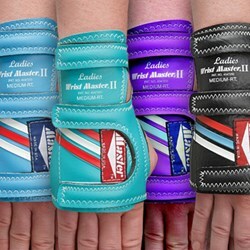 If you have any gloves of any kind, (winter gloves or even latex gloves) you can determine the size that way. Hello Shirl. Yes this will be a really light purple. Hello! 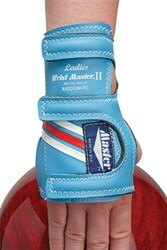 The Ladies Wristmaster II gloves are made out of vinyl with a cotton/polyester liner. In our description it says "Lightwight, firm wrist support maintains wrist in the proper "in line" position." 1 of 6 customers found this answer helpful. Did you? Yes | No Did you find this answer helpful? Yes | No Thanks for your feedback! how do i get a specific color, it doesn't ask and there 3 different colors. You can request for a specific color in the 'special comments' box on the last page of the checkout process. Well it fit a small lady 4’7 tiny. Is the small for a small hand, is that how wrist size works? It would fit really petite women or children. Is there a true fit option with this? Unfortunately, we do not offer a true fit option for this particular item. Unfortunately, the only colors that we offer are the ones that are advertised. 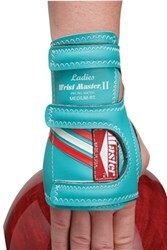 Due to the time it takes to produce the Master Lady Wristmaster II Right Hand ball it will ship in immediately. We cannot ship this ball outside the United States.